In her stunning new novel, New York Times bestselling author Belva Plain has written a compelling story of family and fortune, beauty and betrayal. With unerring insight and emotional power, she penetrates a shattered marriage to explore one of the most provocative issues of our time. What happens when the picture-perfect marriage dissolves? In her unsparing evocation of a family in crisis, Belva Plain goes to the heart of a marriage between a naïve young artist and her handsome physician husband. At first everything is idyllic. Then one terrible night she commits an act she will regret for the rest of her life. An act that gives her husband the ultimate weapon: blackmail. The price of his silence is uncontested custody of their two children. When her own beautiful, angry mother wants to know why she won't fight for custody, she can give no answers. For she alone knows, or believes she knows, what really happened on that fateful night. 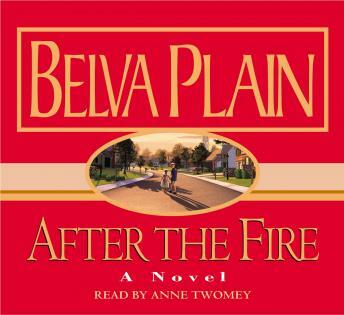 In a novel that is both provocative and heartbreaking, Belva Plain proves herself the writer who sets the standard for family stories, a novelist of incomparable depth and grace.